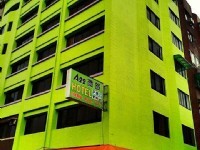 A22 Wei Lyu Hotel is named after the future location A22 Taoyuan MRT Station due to the short distance to the future transit stop. It is close to Zhongli Railway Station, Taoyuan HSR Station, Neili Highway Interchange, in the center of all transportation in Zhongli District. Nearby attractions includes Zhongli Tourist Night Market, Heysong Beverage Museum, SOGO Department Store, and Shopping District, where it is a convenient location to stay in Zhongli. The hotel offers comfortable environment, easy parking for cars and motorcycles, bike rentals, pets welcome service and self serve laundry. 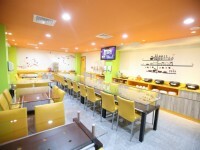 It’s the most convenient accommodation for any business and leisure guests traveling in Taoyuan. No rooms available for A22 Wei Lyu Hotel.